Customers who registered before placing an order will be able to view their orders online, make comments, view comments, and see tracking. Customers who check-out as guest will not be able to see this information online. The only information guests will receive is an email with all order information, and an email from FedEx or USPS with tracking number, assuming that the FedEx email does not go to spam. Registration assumes buyer acceptance and an opt-in to our newsletters. Newsletters are not frequent–perhaps once every 2 to 3 months, and perhaps once per month in November and December, so dont worry about cluttering your inbox. All regular and Standard USA orders are normally packed and shipped within 1 to 2 business days. Sunday is not a business day. We are always inspect and pack your goods with care. We put an extra strip of cardboard along the top seam for life vest orders to help prevent slit damage just in case you forget to read the policy warning about opening a box with a sharp knife. We do our best, but in rare cases, we have still seen problems. We have seen cases where a FedEx or USPS fork lift ran into a box and completely destroyed the contents. We have seen cases where we saw foot prints on the box where a carrier used your box as a step stool. (Please see policies about shipment damage and claims). Water Ski World is not responsible for delays or losses caused by the FedEx, USPS, or other Couriers. It is the customers responsibility to check the tracking number provided and notify us of a problem. In the event of a loss, money will be fully refunded after a claim has completed processing by the Courier and sent the refund to WaterSkiWorld. We do not ship to Hotels unless previous arrangements have been made with waterskiworld. Hotel shipments must include dates of stay. FedEx will not ship to a PO Box. We encourage shipping to a business address because it will be cheaper. If shipping to a business, please dont forget to enter the name of your business in the company name. Schools and Universities must include all details such as dorm number, student name, and building name to successfully deliver to a school. The Order Confirmation Does Not Constitute a final Offer or Contract. All Orders Are Subject To Management Review and Approval. When purchasing from us, buyer acknowledges reading the return policy and the release of product liability both which are stated in this policies page. Beware of 3 day weekends and Saturday with FedEx. Saturdays, Sundays and Holidays are non-business days for most FedEx delivery methods. FedEx STANDARD overnight, does not deliver on Saturday, but FedEx ground and FedEx 2 day does if you pay this upgrade. (Saturday delivery is an extra charge.) USPS priority mail delivers on Saturday at no extra charge. We reserve the right to change your shipping method to USPS priority mail (at no extra charge) if we calculate a faster delivery using USPS. This right to switch applies to Fedex Ground, Fedex Express Saver, and Fedex 2 Day. If there is a significant cost savings doing the switch to USPS, we will refund you the savings. We will process your expedited order using FedEx Overnight, FedEx Express Saver, or Fedex 2 Day on the same business day but we must receive the order before 11 AM California time to give us enough time to pack the order and hand it to our FedEx courier by 3:30 PM. If your order comes in after 11 AM, please put a comment on your order explaining when you need it so we can work out the best solution to that problem. You may need to change it to overnight, or pay extra for FedEx Saturday delivery, or pay extra for a FedEx Saturday pickup. If you order late in day and need it ASAP, it is best to call us to see what we can do. If you dont call us, and your Overnight order comes in late on a Friday after our 11 AM PST deadline, it will go out on Monday. If Monday is a holiday, it will go out on Tuesday. If your overnight order comes in on Friday morning (before our cutoff) it will be delivered on Monday, because FedEx does not deliver on Saturday unless you pay for Saturday delivery. If your overnight order comes in on Saturday, there is no pickup on Saturday, so it will be shipped on Monday, unless you call us to pay for a special Saturday pickup. If order late in the week and need it on Saturday, please call us to pay for an upgrade to Saturday delivery. Unfortunately, many customers will not read the above about FedEx. Because of this, we reserve the right to switch the shipping method from FedEx 2 day, FedEx Ground, or FedEx Express Saver, to USPS Priority Mail (at no extra charge) if we believe that the order will get to sooner. Orders placed on a Thursday, Friday, or Saturday will always get there faster using USPS Priority Mail because USPS counts Saturday as a business day for order pickup and order delivery. Our USPS courier picks up at 4:30 PM. If your order comes in before 12 noon California time, it will go out that day. Unlike FedEx, USPS counts Saturday as a business day and delivers on Saturdays. If you make a late Friday order, USPS Priority Mail is usually faster than FedEx 2 day because of that extra business day. Free USA shipping is offered to the 48 contiguous states for orders over $99. We will ship the most economical tracked method between USPS priority mail, Smart Post, or FedEx ground when free shipping is selected. Hawaii, Puerto Rico, Military APO, and Alaska are outside of the 48 Contiguous states. If the FedEx methods that appear for non-contiguous regions seem very high, it is best to call so we can manually calculate shipping and send it USPS Priority Mail. For any eligible products that can be purchased and shipped internationally, we ship FedEx or USPS Priority Mail International. Customer is responsible for paying duty taxes in his country for orders shipped from the USA to your country. If we ship the order and you refuse the order because of duty taxes in customs, we will charge you all shipping costs, return shipping, a 20% restock fee, plus a delivery refusal fee. Orders with an International billing address must be paid PayPal. International orders paid by credit card and shipped to a USA address, or any USA address near a USA border, or a ship forwarder address, are subject to extreme scrutiny. We are unaware and do not know when your address is an international ship forwarder, because it looks like any other USA address. We ship to the USA address you give us, but please be informed that most ship forwarders do not forward oversized packages. Oversized packages include skis, all wakeboards, wakesurfers, and kneeboards. It is a costly customer mistake. If your order is delivered to a USA ship forwarder who cannot forward your item, you will have to call the ship forwarder to pay the return shipping so the item will be sent back to Water Ski World. It will be up to you to follow-up this problem. We cannot do this for you. You will end up paying return shipping from that USA address, and you will be charged a 20% restock fee when the item finally comes back to Water Ski World. No refund can be issued until we get the item back. Returns allowed within 30 days, new condition with tags. We apply a 15% restocking fee, and no refund on shipping. Buyer pays return shipping. After 30 days, if item is still in new condition with tags, we apply a 20% restock fee. No return allowed if item is used, or the Coast Guard booklet is missing. 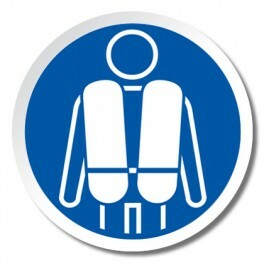 The Coast Guard booklet is required by law to sell or resell a life jacket. If your return is past the 30 days, please contact us before doing a return so we may locate your order. We are not responsible for cuts or slits in life vests, ski belts, tubes, or other products that happen when a customer opens his box with a sharp knife or a razor blade box cutter. We always inspect our products before shipment and do not ship products with slits in them. This problem happens when a customer cuts open his box with a sharp knife. We encourage you to always use a dull blade such as a butter knife to open your box to prevent cutting or slitting the contents. Always cut the packing tape with a dull object. Life vest size charts are provided by the manufacturer and legally, we cannot publish anything different, even if some of the charts are conservative. Manufactures mostly do not want to sell a vest that is too big and unsafe. Water Ski World cannot guarantee the fit based on these charts because some of the charts may be conservative, and people have different body shapes. Buyer is responsible for shipping both ways to exchange to a different size. Please read our Life Vest Buyers Guide and check the Life Vest Size Charts before buying a life vest. A vest that is not US Coast Guard Approved, “non-USCGA”, means that the garment is not a Life Jacket. This garment is not approved by the U.S. Coast Guard, Canadian Department of Transportation, or any other agency making official approvals of flotation devices. No express or implied warranties are made concerning its use. This garment cannot be considered a safety vest of any kind and is not designed to protect the user from impact. (This includes the Nash Hydroslide Ski Flotation Belt). It should be worn only by experienced riders when life guards, patrol boats, or pickup boats are actively present, and the rider is under constant observation. This garment should not be worn by anyone who cannot swim. The buoyancy factor and its distribution in the jacket is not sufficient to float a conscious or unconscious person in a “face up”. Injury or drowning could occur while wearing this garment. Wear this garment at your own risk. Customer waives all liability and holds harmless the seller in any and all cases of injury. “Manufacturer and/or retailer and/or seller” shall not, under any circumstances, be liable for losses or consequential damages or injury sustained by the Customer. The Customer is ultimately responsible for his choice of product and the size of a product. By purchasing a product from Water Ski World / Discount Life Jacket or any of its sales locations or web sites (such as eBay, or the Citrus Heights Store, West Coast Boat Center in Rocklin, or quarterly boat shows, the Customer waives all liability for use (or misuse) of a product and holds the seller harmless. Warranties and remedies with respect to manufacturing defects, condition, or life of the product are specifically excluded and must be resolved with the manufacturer per the manufacturers warranty.